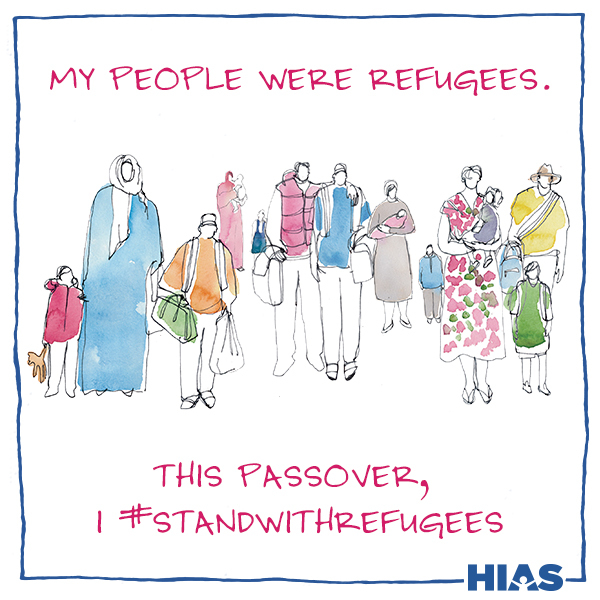 As we celebrate the Jewish people’s biblical exodus from Egypt, we remember that there are 65 million displaced people around the world, people fleeing violence and persecution in search of a safe place to call home. We are currently in the midst of the worst refugee crisis since World War II. At the Passover Seder, we drink four cups of wine to remember the four expressions of God’s redemption of the Israelites from slavery in Egypt. We also pour but do not drink a fifth cup of wine, Elijah’s cup, to symbolize that, though we were freed from slavery, redemption is not complete so long as others are still enslaved. This year join with HIAS in four ways you can help bring redemption to the refugees around the world who are still oppressed. 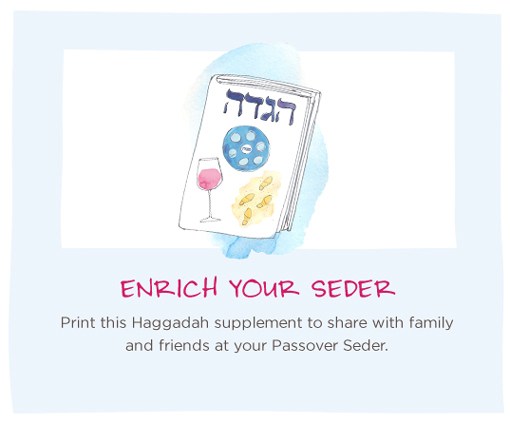 Print this Haggadah supplement to share with family and friends at your Passover Seder. 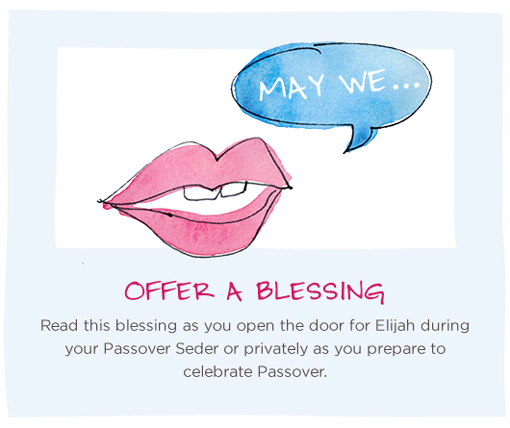 Read this blessing as you open the door for Elijah during your Passover Seder or privately as you prepare to celebrate Passover. 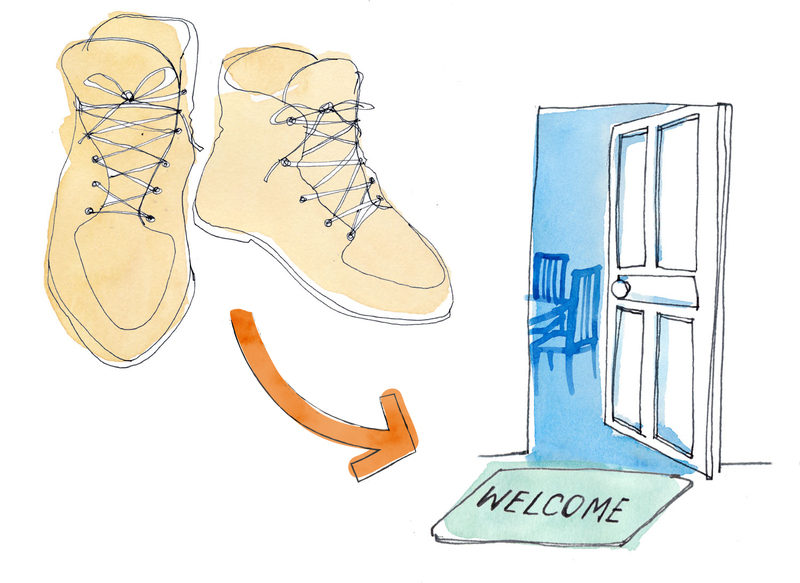 Invite family and friends to join you by placing a pair of shoes on their doorstep. 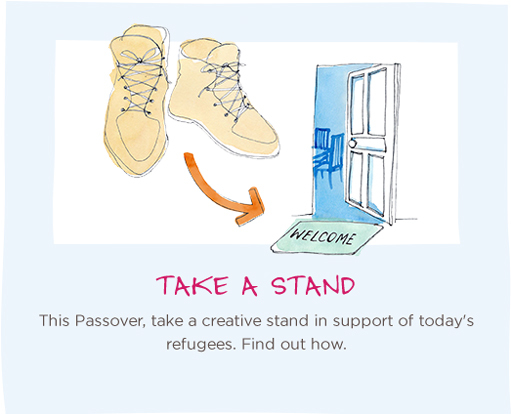 Encourage them this Passover to support welcoming the world’s refugees and stand up against the xenophobia and hatred being levied against these most vulnerable people. During the Passover Seder, we say the words, “אֲרַמִּי אֹבֵד אָבִי (Arami oved avi).” This phrase is sometimes translated as “My father was a wandering Aramean” and other times as “An Aramean sought to destroy my father.” Somewhere between the two translations lies the essence of the Jewish experience: a rootless people who have fled persecution time and time again. When we recite these words, we acknowledge that we have stood in the shoes of the refugee. 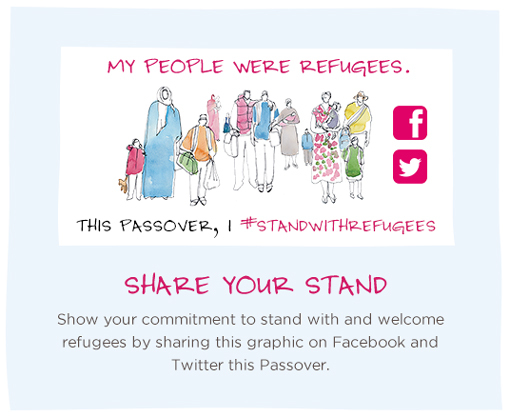 Show your commitment to stand with and welcome refugees by sharing this graphic on Facebook and Twitter this Passover. Click on an icon to share now!